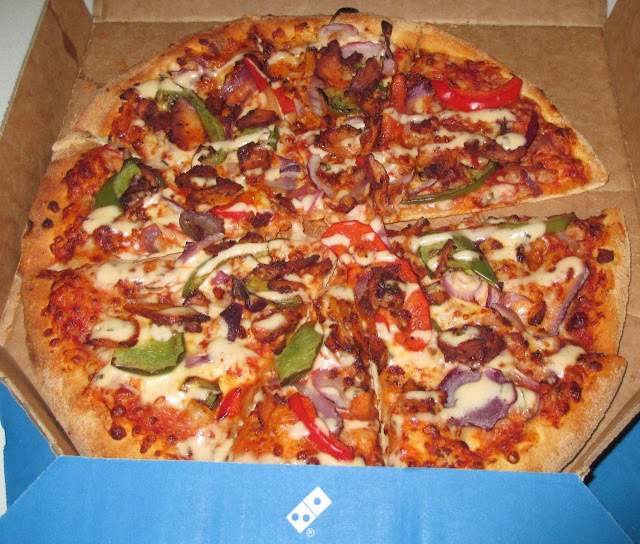 It had been a while since we last had a Dominos pizza order, but when a new menu was pushed through the door with new goodies in it, it meant we sort of had to, for Foodstuff Finds you understand… Ok, turns out we didn’t need much arm twisting. The new Dominos pizza is called the Mexican Fiesta Pizza, and although I was a little worried that the pizza would be hot (as in spicy), we decided to try it out. The pizza comes topped with tomato sauce, mozzarella, peppers, and is topped with a sour cream and paprika drizzle. The peppers are just green and red peppers, so there isn’t much heat at all, just a nice spiced flavour from the paprika. The chicken was still moist and juicy, and peppers and onions had a decent crunch and flavour. The sour cream mixed things up adding a nice cool taste too. As I’m not into all things hot, this was spot on for me. It was very flavoursome, and the mix in textures and the addiction of the chicken made it a very tasty treat. 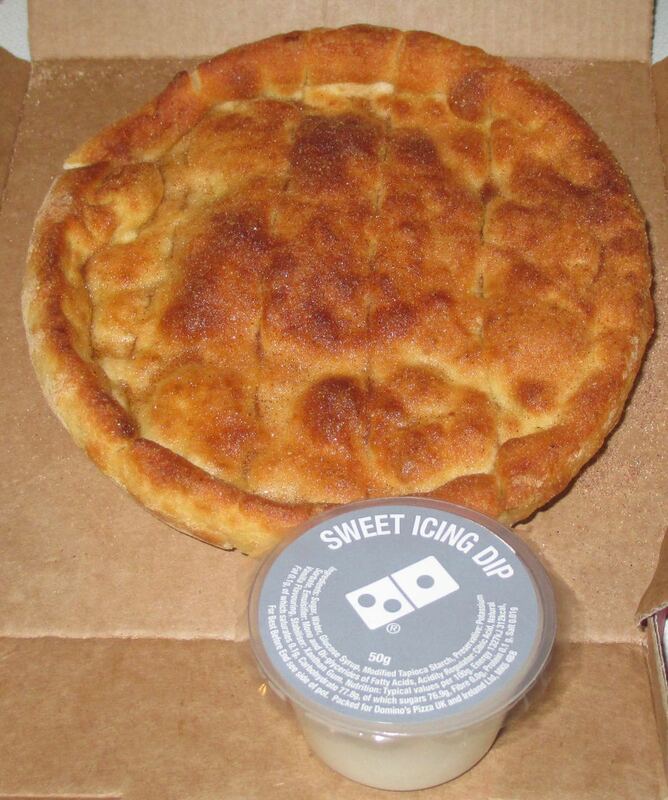 We had the other new item on the Dominos menu for dessert, the Cinni Dippers. From the picture online I had imagined that these Cinni Dippers would be sticks to dip, what actually arrived was a small round (pizza style) bread covered in brown sugar and cinnamon. It did have shallow cuts in order to split them into sticks, but they weren’t very even, which meant trying to share a portion was bit more awkward. We ended up pouring the icing dip over the top of the pizza and then splitting it up, this was bit sticky, but worked well. The icing stayed runny, even after we had eaten our pizza and come it a little while later. Disclaimer alert, I am a huge cinnamon fan, but these were absolute heaven! The spice was just right, flavoursome, but not hot and the icing sugar made them lovely and sweet. The bread was a nice and soft and easy to eat. This really was my perfect way to finish off a pizza meal.